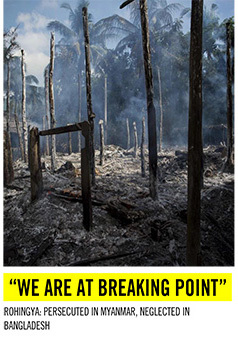 An excerpt from the April 3 report from Bob Rae, Canada’s Special Envoy to Myanmar. * How Much “Law” Is There in “International Law”? The full report, entitled “Tell them we’re human: What Canada and the world can do about the Rohingya crisis,” can be read here. I accepted Prime Minister Trudeau’s invitation to serve as Canada’s Special Envoy to Myanmar on October 23, 2017. Since that time, I have visited the region twice — the first time in November 2017 and the second in February 2018 — and have been in touch with a large number of non-governmental organizations (NGOs), advocacy groups, UN and other international agencies, and many government officials. I have been ably assisted by officials in Global Affairs Canada and have been accompanied on many of my travels by Maxime Lauzon-Lacroix, Senior Desk Officer at Global Affairs Canada. I am extremely grateful to him and many others for their guidance and advice. I have, of course, discussed the report with many people over the last several months, but this report, its conclusions and the recommendations are mine. It is a personal reflection, and in that sense represents a difficult journey. I have found myself dealing with a deeply intractable and, in many ways, tragic situation. It lends itself to moral outrage, anger and frustration. But as I have learned over many years, these emotions are not necessarily the best guide to action. I hope that those reading this document, including officials and politicians in Myanmar and Bangladesh, will understand that while I have spent much time reading and discussing the current situation facing the Rohingya people, I am by no means an expert. All I can offer is my honest assessment of the situation. To Canadian political leaders and government officials receiving this report, including the prime minister, I have tried to provide some advice and guidance about steps that could and, in my view, should be taken. But I am also aware (having been in both positions) that there is a difference between giving advice and having to act on it. I remain available to work with those who are asked to implement this report and its recommendations and more broadly to continue to respond to what is an intensely difficult situation. My report offers some personal observations about the challenges of making decisions, about the state of the world as we find it, and what the guiding principles of our foreign policy should be. A fundamental principle of Canada’s approach to the Rohingya crisis should be that we listen to the voices of the Rohingya themselves. This principle should guide our actions and inform our advocacy. Canada should take a leadership role in responding to the current crisis by stepping up humanitarian and development efforts in Bangladesh and Myanmar. Canada’s response should focus on providing humanitarian assistance, education, supporting infrastructure, and mitigating the impact of the violent deportation on Rohingya women and girls by providing strong support to UN and other international organizations working in camps and elsewhere. Education in particular should become a priority for our longer-term approach. The Government of Canada should develop a multi-year funding plan starting in 2018-19 for this comprehensive work on both sides of the border. This multi-year plan should further include the necessary work on accountability and the gathering of evidence and the increased coordination effort required both domestically in Canada and globally. I estimate the increased annual cost of this combined effort, including for additional staff at headquarters and abroad, at $150 million for the next four years. While expressing our gratitude and providing much needed support to the Government of Bangladesh, Canada should be making clear its urgent concern about the need for additional land in and around Cox’s Bazar for the 100,000 Rohingya refugees deemed to be at risk of death or serious illness as a result of flooding, landslides, and water-borne diseases expected to be brought by the upcoming monsoon season. The 500 additional acres of land that the Government of Bangladesh has recently allocated are not sufficient to deal with the extent of the crisis. Similarly, the construction of the island camp of Bhasan Char by the Government of Bangladesh is unlikely to be completed in time or to be sufficient to deal with the extent of the expected crisis; it also raises serious issues about accessibility and mobility. The extent of the urgency of the humanitarian crisis and the real risks to the Rohingya and other populations in both Bangladesh and Myanmar need to be more widely publicized and appreciated. The continuing issues relating to acquiring visas and work permits for humanitarian workers must also be addressed and resolved by the Government of Bangladesh. In this multi-year plan, Canadian development assistance should not only focus on the needs of Rohingya refugees, but also take into account those of the Bangladeshi population in Cox’s Bazar, noting the impact that the arrival of an additional 671,000 refugees has had on the resident population. Canada should continue to work with organizations committed to development as well as human rights. Canada should continue to urge the signing of an MOU between the UNHCR, the Government of Bangladesh and the Government of Myanmar, and the establishment of stronger relations between all the UN and international agencies with both governments. 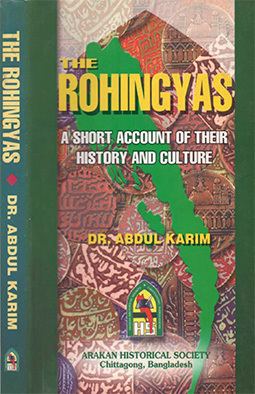 Implementation of these plans and, in particular, allowing aid, assistance, observers as well as sustained and unfettered access to Rakhine State would go some way to reassuring both the Rohingya population and the international community of the sincerity and credibility of the commitment of both the civilian and military wings of the Government of Myanmar to an effective plan for the return of the Rohingya population. Canada should signal a willingness to welcome refugees from the Rohingya community in both Bangladesh and Myanmar, and should encourage a discussion among like-minded countries to do the same. This in no way lessens the obligations of the Government of Myanmar to accept responsibility for the departure in such violent circumstances of the Rohingya population from their homes. Canada should provide support to informal initiatives fostered by experienced NGOs intended to improve dialogue between the governments of Myanmar and Bangladesh, and reconciliation between the ethnic Rakhine and the Rohingya. These initiatives, known as “Track Two”, have often proved useful to conflict resolution efforts around the world. Canada should continue to pursue a policy of active engagement with the Government of Myanmar and should continue to provide development assistance focused on the needs of all communities in that country. There is no conflict between our continuing advocacy for the rule of law, human rights, democracy and accountability and the needs of human development. 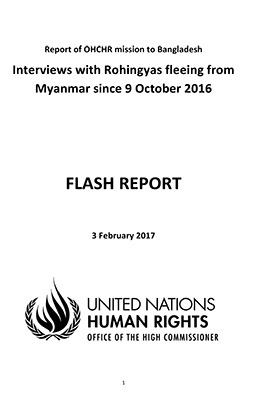 Canada should continue to emphasize that a return of Rohingya refugees to Myanmar from Bangladesh has to be conditional on clear evidence that the recommendations of the Kofi Annan Commission to ensure the recognition of political and civil rights of the Rohingya in Rakhine State are being implemented on the ground, that a sustained international presence will be allowed, and that the return of the refugees will be voluntary, dignified, secure, and sustainable. Canada should continue to insist that humanitarian assistance and observers must be available to the whole population of Rakhine State, regardless of ethnicity. International assistance and the presence of observers need to be seen as pre-conditions to any repatriation of the Rohingya people to Myanmar. Funding will need to be provided to ensure such efforts are effective. Canadian development assistance to Rakhine State and the whole of Myanmar should be increased and should focus on the needs of women and girls, reconciliation, and the steps necessary to ensure the safety, security, and civil rights of the whole population, including the Rohingya. Special attention must be paid to the need for an emergency response for both Myanmar and Bangladesh. Beyond Rakhine, Canada should continue to support the broader peace process in Myanmar, with assistance to key stakeholders, civil society and those able to engage effectively with all the groups and regions in the country. Funding should also be provided for bona fide initiatives deemed to be making a positive contribution to the peace and reconciliation process. Given the role that the military continues to play under the existing constitution, consideration should be given to provide cross-accreditation to Myanmar of the Canadian Defence Attaché resident in Thailand, in order to increase more direct dialogue with the military wing of the Government of Myanmar in pursuit of Canada’s policy on human development and human rights. – candid and direct discussions with governments, and all political actors, to ensure they are aware of the commitment of a number of countries, including Canada, to the need for accountability for violations of international human rights law and international humanitarian law as set out in the Rome Statute, the UN Convention on Genocide, and other sources of international law. Individuals, organizations and companies deemed to have been involved in a breach of international humanitarian law, or other laws related to conflict, including breaches of the Rome Statute and the UN Convention on Genocide, should, in addition to the processes set out above, be subject to targeted economic sanctions. Canada should be actively working with like-minded countries to identify the individuals or parties that should be subject to such sanctions, which are likely to have more impact if multilateral in scope. Canada should also continue its arms embargo and should seek a wider ban on the shipment of arms to Myanmar. Canada should establish a Rohingya Working Group within the Government of Canada, to be chaired by a senior deputy minister, to ensure a “whole of government” response to all the elements of an effective policy. The Rohingya Working Group would report directly to a Cabinet Committee, would monitor the ongoing crisis, and recommend further steps and expenditures necessary to ensure Canada’s effective response and leadership in this crisis. The Group could issue reports to Parliament and the Canadian public in real time about the full extent of the crisis. Canada should urge like-minded countries to establish an International Working Group to ensure that, to the extent possible, policies, programs, and persuasion are exercised in a coordinated fashion. This would include countries in the region, as well as those committed to joint efforts. Canada should push for the issue of the Rohingya crisis to be addressed at the Commonwealth Heads of Government meeting in London, United Kingdom, this April and during Canada’s G7 presidency in 2018. Canada should also seek partnership opportunities with the Organization of Islamic Cooperation (OIC) and its members at the OIC’s 45th Council of Foreign Ministers Meeting in Dhaka, Bangladesh, in May.